The Ms New Brunswick series has far exceeded my wildest expectations, and for International Women’s Day, I wanted to take a look back at the last two months and say thank you to everyone who has followed along. First and foremost, people really care about what women are doing in New Brunswick, and that is just awesome. Each week when I post about women doing amazing and unique things, thousands of people read and share their stories. I similarly receive dozens of new nominations every week from people who want to see their friends, neighbours and colleagues featured. Each woman I’ve talked to has a huge network of support that surrounds them, and for this I am incredibly grateful. And so are they. I have been educated on some of the many wonderful and helpful resources that are available to entrepreneurs looking for guidance when it comes to starting a business. As far as I can tell, in virtually every community, there is a local resource that is dedicated to helping people build small businesses. Organizations like the Summer Institute and the CBDC as well as private companies like Momentum Canada exist just to provide guidance and support to entrepreneurs. Along with this, I have learned of some of the numerous government programs and grants available to small businesses, which I have been told can make all the difference when you’re just starting out. Women in this province are doing literally every possible thing you can imagine. What impresses me still are the many ways in which women continue to be innovative in how you can own a business. So many of the women I talk to make it work in unconventional ways. Many start out at home, or operate “pop-up” style, or work exclusively online, or gave up entire other careers to chase their passions. It goes on and on and it’s inspiring as hell. While I generally try to focus on the light that these women are bringing into our lives, I always ask them to share something they’ve encountered that is difficult, because we aren’t just here to pat ourselves on the back. It’s important for us to have pride in our community, but sometimes we need to know, what could we be doing better? How can we better support these women? The answer is always different, but there are common themes. I think what it boils down to is sharing their stories. You can always support women and their businesses, art, ideas and endeavours by promoting them yourself. In conversations with your friends, on social media and in public. If you are touched by or pleased with a product, service or craft, let other people know about it. The very best thing you can do for women in New Brunswick who are running their own business – of any size or type – is to tell others about the amazing work they are doing. Lastly, I want to reiterate three things that I have heard countless times these last two months. 1. Ask for help. Without exception, everyone I have interviewed has reached out and asked for help, advice and encouragement from other business owners or makers. People are more willing to help you than you think, and you can save yourself a lot of grief by learning from someone else’s mistake. The entrepreneurial community in New Brunswick is very strong, so get involved. If you don’t know where to start, send me a message and I can point you toward helpers. 2. Don’t be afraid, but have a plan. Do not let fear be what keeps you from pursuing a good idea, but definitely do not jump into something unprepared. Especially when we are talking big financial risks. 3. Support local. 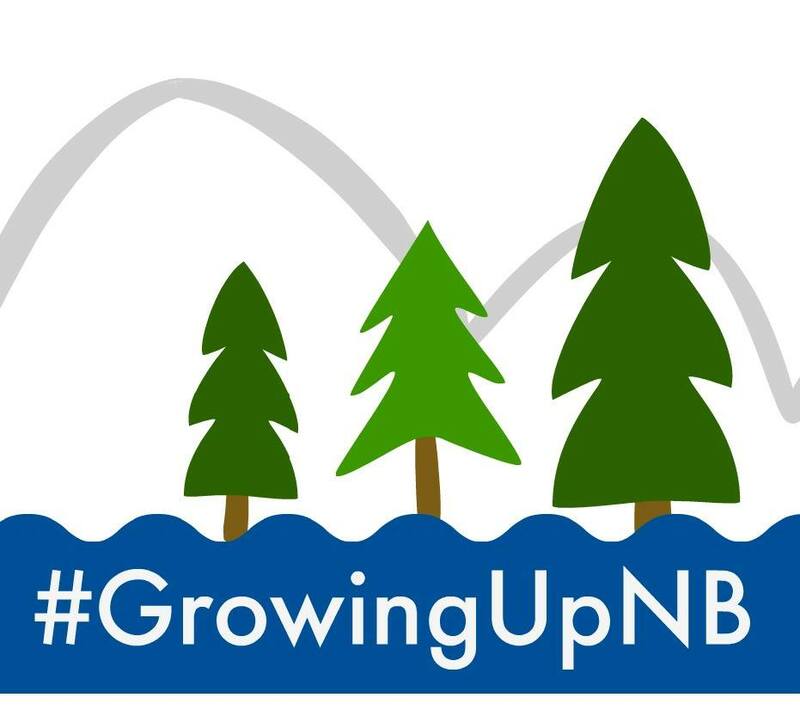 Buy products that are made in New Brunswick. Talk about the services offered here. If you’re shopping for something, chances are someone local to you makes and sells it (it’s truly astounding what is here). Sometimes this is hard to do, for both time and budget reasons, but with all things in life – the goal isn’t to be perfect, just to be a bit better. When I started, I truly had no idea how impactful this series would be, both for myself and for the community that reads every week. I’ve received hundreds of messages of encouragement from people all over the province, which is so encouraging for so many reasons. I am filled with excitement and hope that a series dedicated to women makers, creators, artists, visionaries and entrepreneurs in New Brunswick is so successful and resonates with so many people, and I am humbled that these women trust me with their stories. I started the series out by positing that a rising tide lifts all boats, and I am more sure of this now, than ever before. Community over competition. I hear it again and again. The key to success here is in lifting others around us up. I will continue to do that here with this series, but I encourage you to as well. As for myself, the writing of this series has given me so much. I have gained confidence in my writing and my ideas, and possibly for the first time in my adult life feel like I am contributing in a way that feels significant (in a different way from motherhood, which is also immensely fulfilling and contributory). I have never been so glad to be an English major - a degree that I loved, but wasn't sure how I would ever use. This is what I should be doing, and so I will continue to do it for as long as it feels right. Beyond that, I am immensely grateful for the friends and connections I have made, the opportunities I have been given as a result, and the overwhelmingly positive reaction from the readership. I can't say enough about what I have learned in my conversations with these women. I feel that I have learned more about entrepreneurship and the small business community in New Brunswick than I ever could have dreamed. It has been truly incredible, interesting and educational. I see our future prosperity in these women, and I will do everything in my power to support them as they support us. Lastly, I would like to thank you for reading Ms New Brunswick. This has been one of the most fulfilling experiences of my life, and I look forward to where this adventure takes us next. I hope you continue to support this series and the women that make it possible! As always, if you know a woman who would be a good fit for this series, please nominate them here! This project has been so much more time-consuming than I ever could have expected, and if it weren’t for my number one fan, my husband Rob, none of it would even be possible. Rob, I feel very fortunate that you are as invested in this as I am.